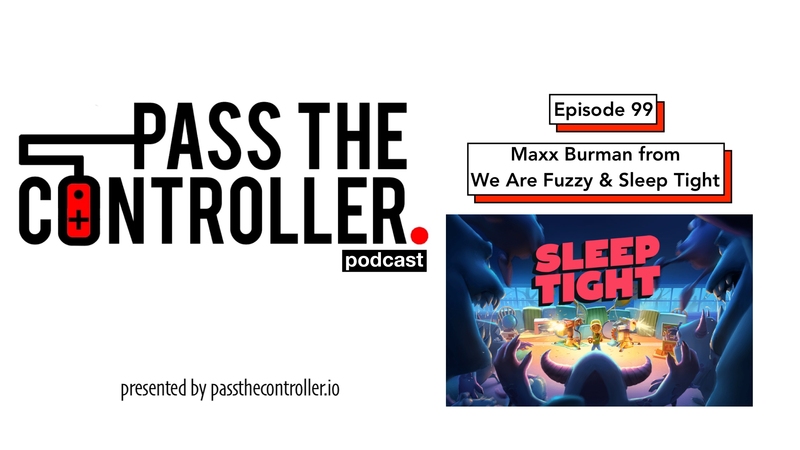 Episode 99 of the Pass The Controller Podcast is now available on iTunes, SoundCloud, and most major podcast platforms. Listen in as Brenden, Mike, and Dom sit down with Maxx Burman of We Are Fuzzy for this special guest episode. We chat with Maxx about Sleep Tight, the Las Vegas Mixer launch party, some of his other creative work in movies, video games, and television, as well as KitBash3D. Of course, we chat about what else is going on in gaming and Maxx weighs in on the fast food debate. Sleep Tight is now available on Nintendo Switch and Steam. Intro & outro music courtesy of Super Soul Bros. Episode sponsored by Goodnight Fatty.